Now don’t get freaked out by the fact that this cocktail has vodka and gin in the ingredients. Odd combination, I know, but it totally works. Every time I have one, I am reminded of just how much I love this drink. It’s not too sweet, not too tart, just a perfect balance of flavors. But the key to this Elderflower Martini is the homemade sweet and sour, and it is totally worth the extra work. Trust me on this one. You may never go back to the bottled mix again. In fact, once you taste it in this drink, you’ll enjoy juicing those lemons and limes. Tip: Use this juicer to make quick work of making the homemade sweet and sour mix. Another great thing about this martini? It’s easy to make a batch cocktail. So if you are hosting a gathering for any occasion, hanging out with friends, or just because it’s the weekend, it always fits right in. 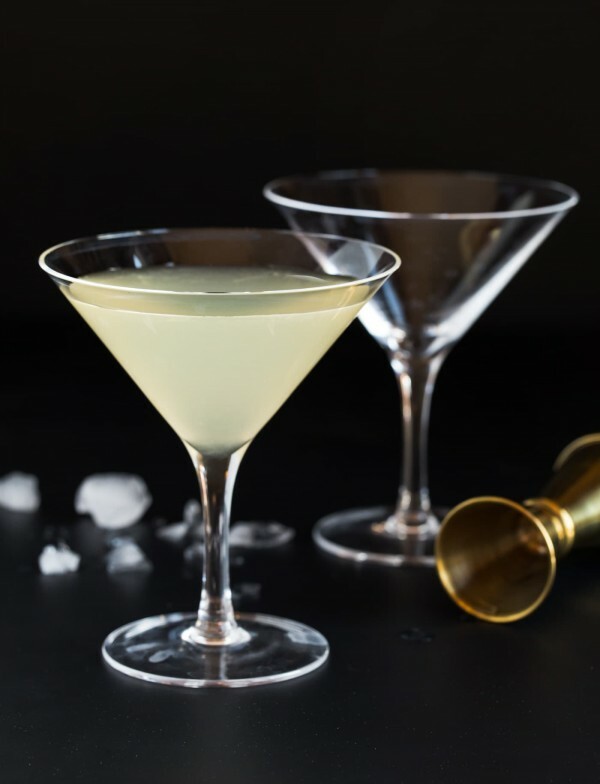 This Elderflower Martini just might become your new go-to batch cocktail. I’ll drink to that. Cheers! Combine sweet and sour mix ingredients in a mason jar and shake to combine. Keep chilled until ready to use. 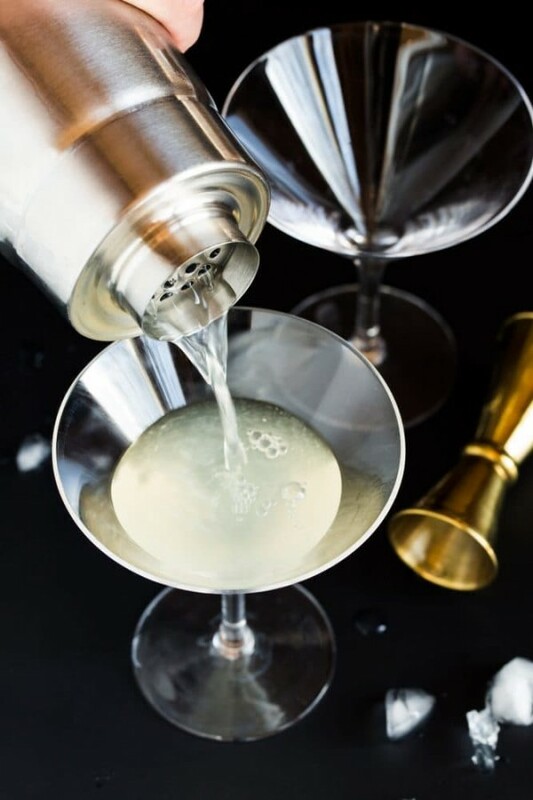 Pour gin, vodka, St. Germain and sweet and sour into a martini shaker filled with ice and shake vigorously to combine. Squeeze a wedge of lime into a martini glass and strain the contents of the shaker into the glass. Serve immediately. The sweet and sour mix will keep for 2 weeks in the refrigerator. Want another way to use elderflower? Try some of these yummy cocktails! This post, Elderflower Martini, first appeared on Garnish with Lemon.